Sunderland MP Julie Elliott says she will ask the Government to intervene following reports that car maker Nissan could be about to cancel production of its X-Trail model at the firm's Wearside plant. Sky News reported earlier today that on Monday the Japanese company will announce it will no longer produce the car in Sunderland. Nissan said back in 2016 that the X-Trail SUV car would be produced on Wearside after receiving assurances from the Government. The firm employs 7,000 people at its Sunderland factory and 8,000 overall in the UK. Mrs Elliott, MP for Sunderland Central, tweeted: "What we are hearing is that Nissan is no longer planning on building its new X-Trail model in Sunderland, despite whatever secret assurances it was given by the government. "While we are still awaiting on confirmation from Nissan themselves, the downturn in the diesel market is what is being blamed. "I will be doing everything I can to protect jobs at the Sunderland plant. "I will be asking for the Government to intervene, and will stay in close contact with the company itself. "But we cannot deny the inevitable role that Brexit plays here. The constant uncertainty, the chaotic Government. "None of it is conducive to encouraging business investment in this country." Her comments follow those of fellow Labour Sunderland MP Bridget Phillipson, who represents Houghton and Sunderland South. 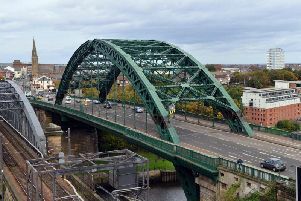 She said: “If confirmed, this would represent deeply troubling news for the North East economy. And Washington and Sunderland West MP Sharon Hodgson said in a statement: "I am extremely concerned about unconfirmed reports that Nissan are cancelling their plans to manufacture the new X-Trail model at their plant in Washington in my constituency. A car is made at Nissan's Sunderland plant. "I know many of my constituents will also be worried. "I will do all that I can to protect jobs in Washington and Sunderland. "On Monday I will be speaking to Government ministers in order to raise this as a matter of urgency. "I have been in contact with Nissan today, and am following developments closely. "I will be seeking further information from the company as soon as it is available." Nissan Sunderland plant confirmed in 2016 it would build the new Qashqai and the X-Trail SUV. Colin Lawther, Nissan's senior vice-president for manufacturing.